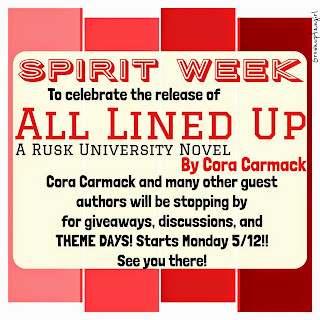 Owl Always Be Reading: Rusk University Spirit Week Event + Giveaways! 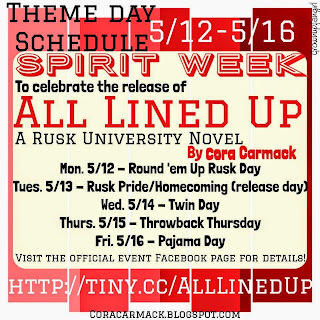 Rusk University Spirit Week Event + Giveaways! Hey Owls so today is kind of a big deal. 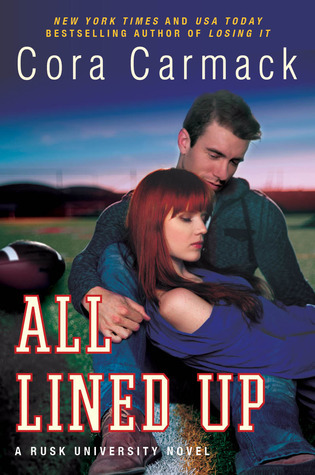 All Lined up by Cora Carmack is finally out!! 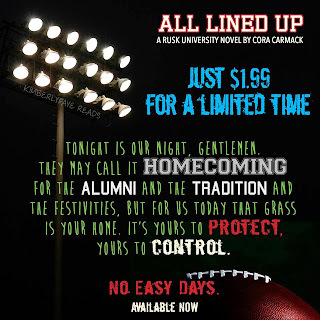 To help celebrate this amazing release there is an awesome event called Rusk University Spirit Week happening all week over on Facebook! Each day will be themed and I can tell you just from what I saw the first day you can expect a TON of giveaways!! A lot of these are flash giveaways so make sure to keep a look out. 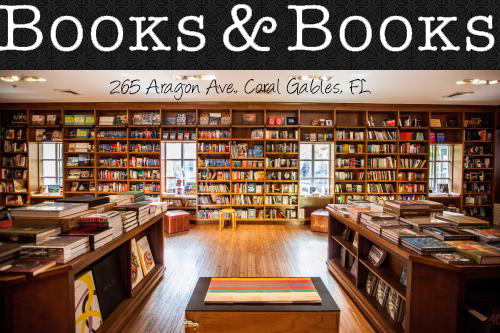 Not only will there be a ton of giveaways, but oh so man fabulous authors will be stopping by as well. Honestly I'm kind of mind blown by the amount of authors who have already stopped by. I don't even know who's going to show up so I'm just as surprised as you guys!